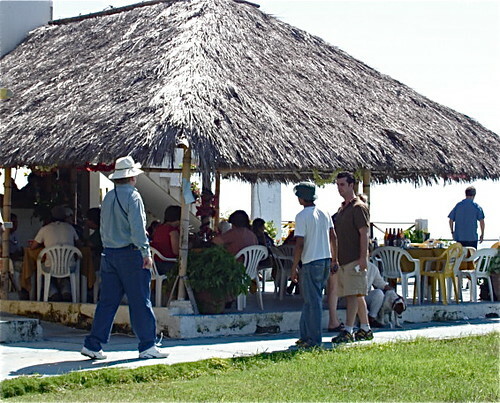 Ecuador beach restaurants offer wonderful variety, excellent food and really low prices. 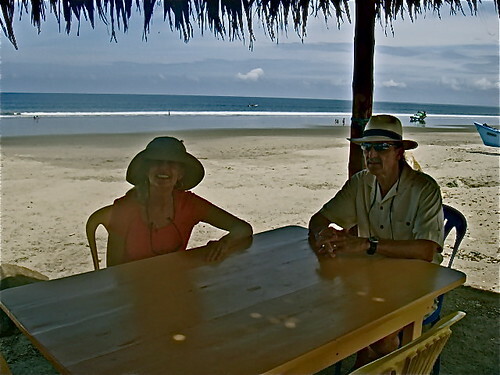 Sunday lunch is great, so here are some of the wonderful Ecuador beach restaurants where you might find Merri and me enjoying a Sunday meal. 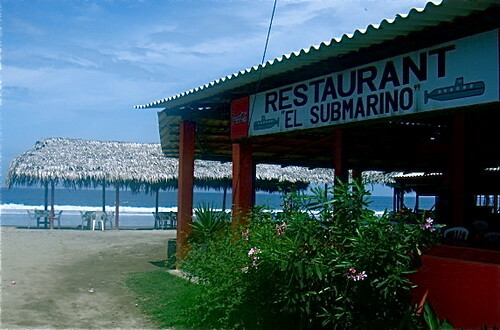 In Manta for a quick bite we visit the Oro Verde cafe. 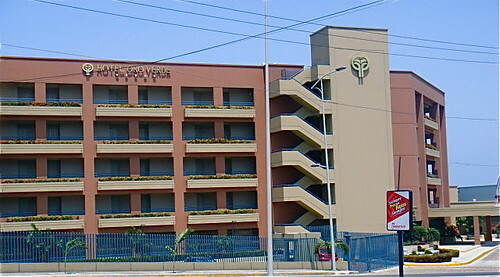 The Oro Verde hotel is in the center of Manta. 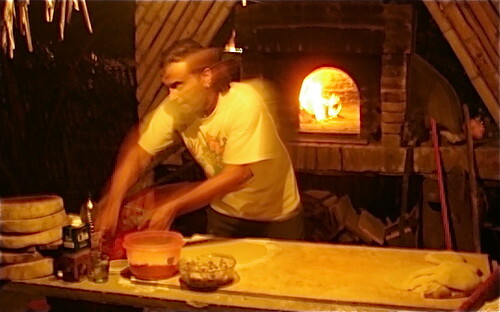 Bread and pastry, as a general rule, are not Ecuador’s best specialties. 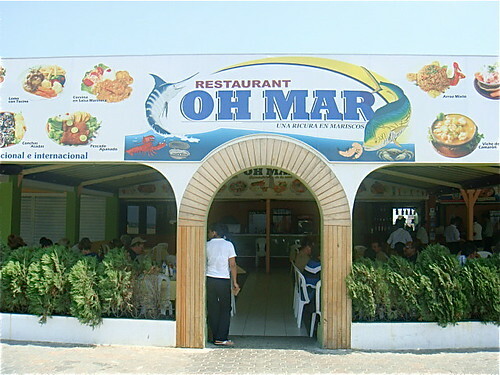 Not true at the Oro Verde! Merri and I have lived in many countries including places with great pastry such as France, Germany, Austria, Swiaterland and Italy. 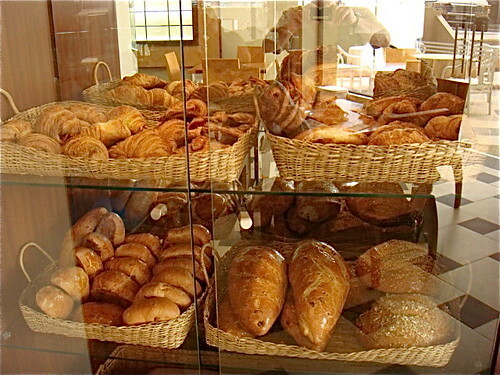 The Oro Verde has pastries as good as any we have ever enjoyed. The Sundays papers and these pastries go well together. Sadly the Oro Verde coffee is the terrible, machine made Nestecafe cappuccino. 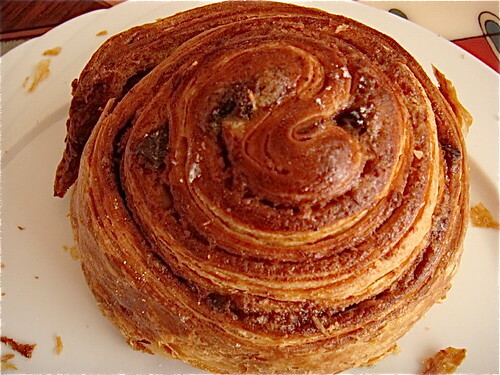 I put up with it though to enjoy the croissants and especially delicious cinnamon rolls. 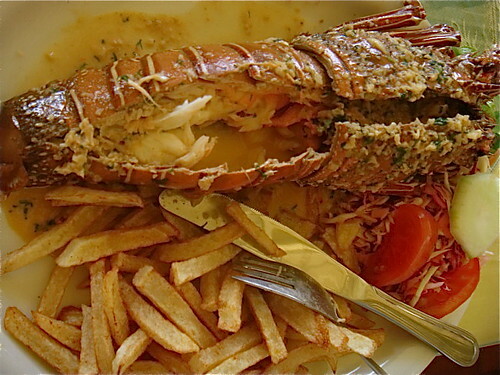 A great seafood meal is about $6… or for something special… like this lobster for $12. 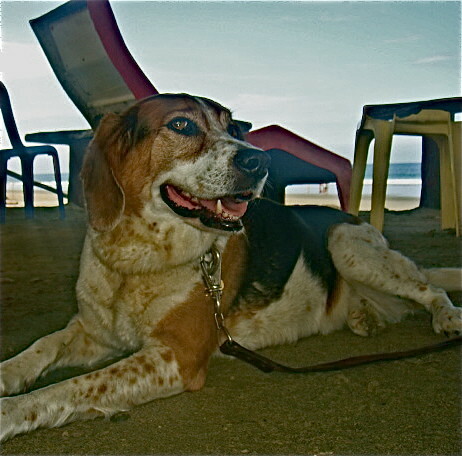 Moving north to Crucita… we enjoy the cafe at the top of Balsamaraqua gated community. Open and airy, you can spend a Sunday afternoon enjoying this incredible view. 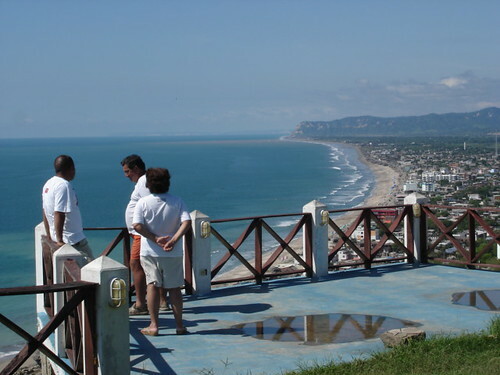 Further north is San Clemente where we live and stay at Vistazul. 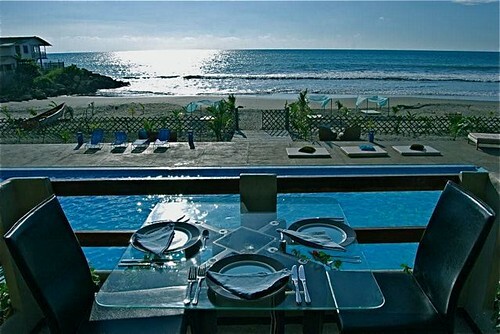 where a Sunday dinner can run $17… but with a view. 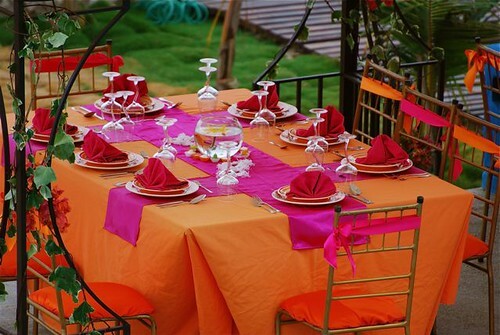 for special occasions and fine dining Palmazul is the place. 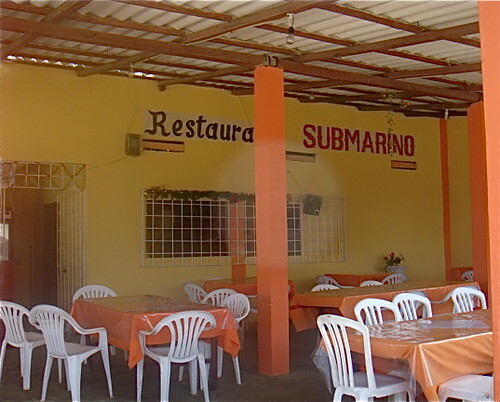 Where a meal is $4 to $5. You cannot beat the location. 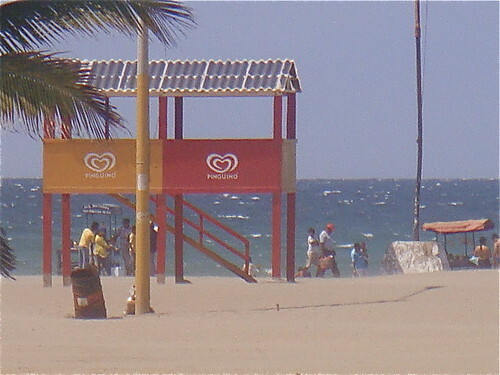 After a great seafood meal we stroll two blocks back to Palmazul on this beach. 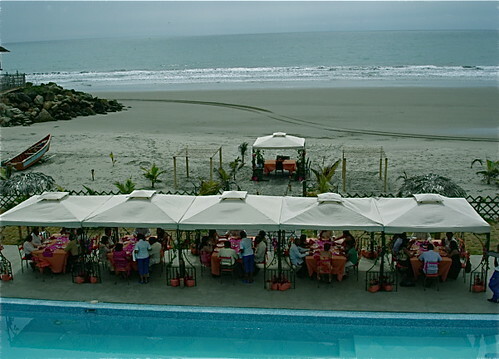 One really excellent, evening restaurant on the San Clemente beach…right next to Vistazul is Gabriel Graziani’s tiny beach shack restaurant. 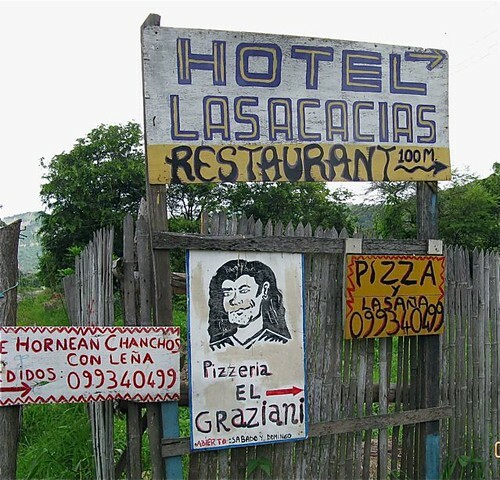 He serves delicious pizza and lazagna. 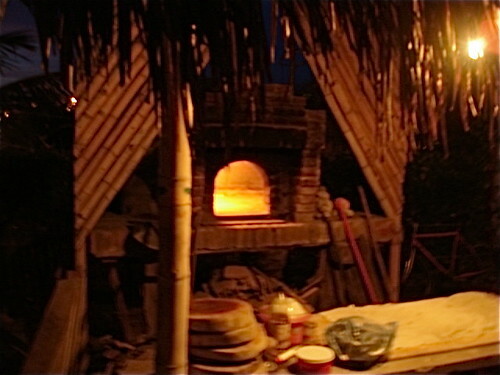 in his hand made oven. 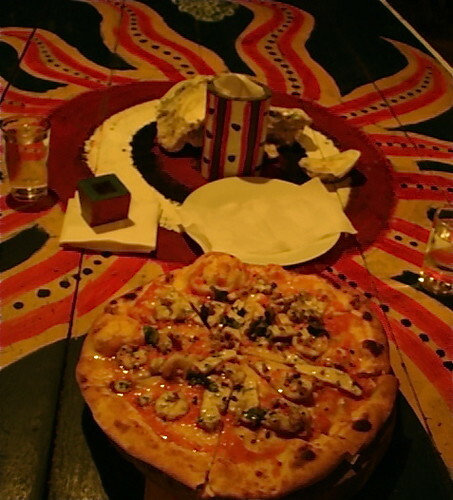 He collects all the fresh ingredients and makes the food while you are there. 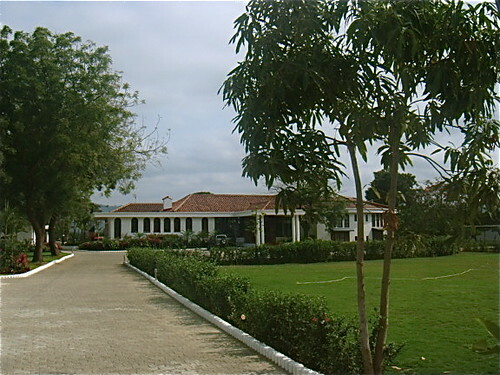 Further north is Bahia and there are several great places there starting with Casa Ceibo. 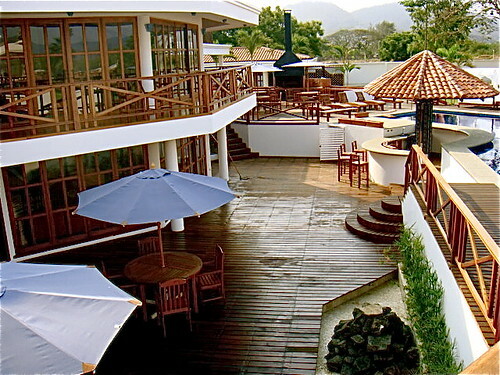 Elegant but pricey…by Ecuadorian standards. Well worth it once in awhile. 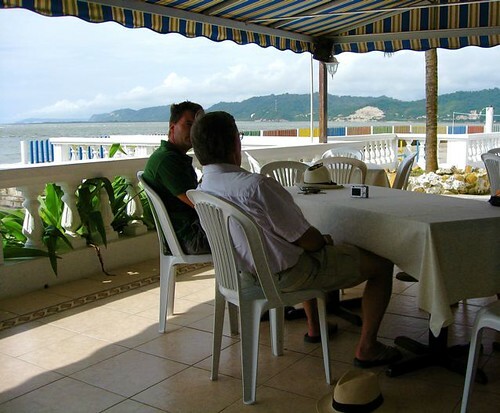 For snacks the cafe in la Piedre hotel cannot be beat…here I am with Kjetil Haugan as we overlook the Chone Estuary on a warm breezy afternoon. 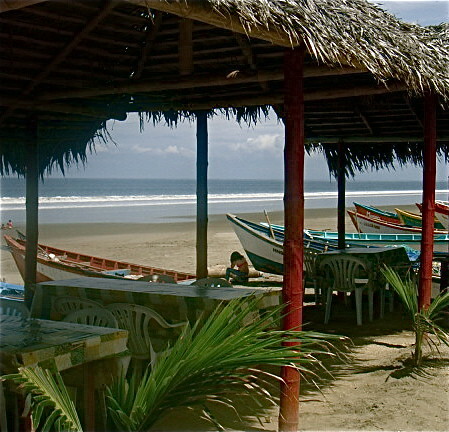 If you like value and seafood, this part of Ecuador from Manta to Bahia will serve you well. Until next message may you enjoy your Sunday meal. 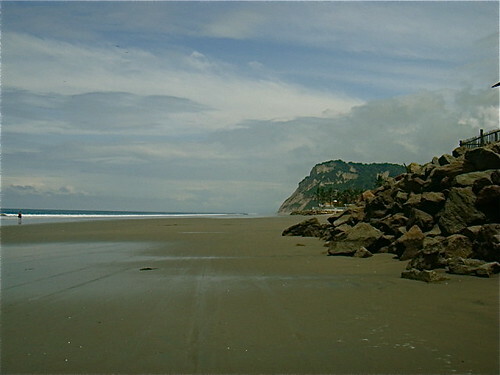 Get our web based course FREE if you join us in Ecuador this March.